Congratulations in taking the leap to Google+ and especially Google Plus for Business. Fill in your Google+ profile pages. The more information that you add, provides more information for Google to display to users when they search for something. If you fail to fill in your profile, your Google+ Business Page may be lost in the Google sphere. 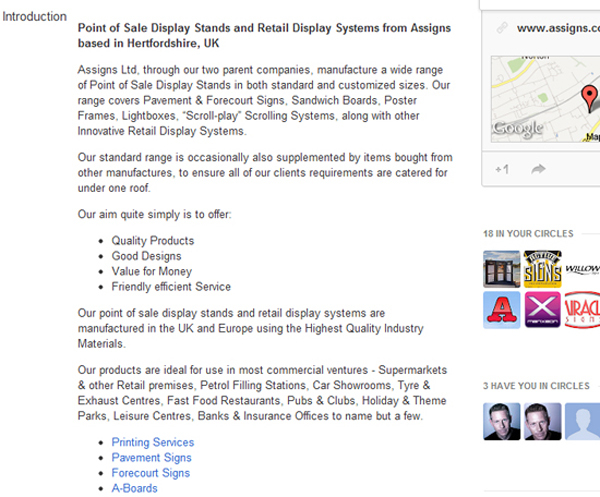 Click Edit profile, this will now show your Google+ Business profile, with a Blue Bar across the page just above your Business Page Name. Click the parts of your profile that you want to edit. When you hover over a section you will notice that it highlights in blue, these are in blocks, so click the block you would like to edit. The introduction section of the Google+ Business Profile is where you can add as much information as you require. You can add the main sections of your website / products and add links to these sections. The more information that you provide, enables Google to understand your Google+ Business Page when someone searches for relevant information. In this section of the Google+ Business Page, add your. You more then likely added your website address when you originally created the Google+ Business account but if not you must add your Websites full address. You will also notice the Link Website button, when you click this a window appears giving you the code to add to your website that will connect your website to your Google Plus for Business Page. Which I don’t feel is the most user friendly / design. 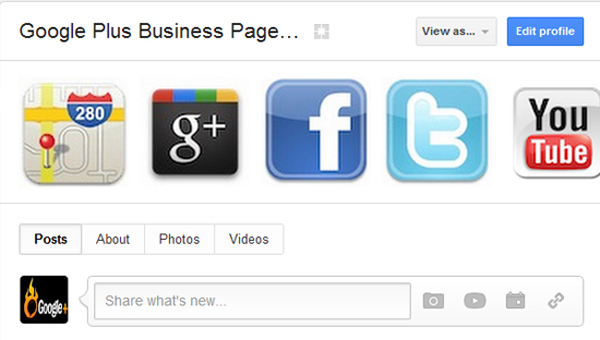 You can add the Google+ Logo with a connection to your Google+ Business Page. Here is the official developers icon but your developer can find a variety of different styles to choose from. If you are adding the Logo, then you will not be adding in the Rel=publisher tag, this still needs to be added to your site. In the footer of your website you can then add the rel=publisher tag. 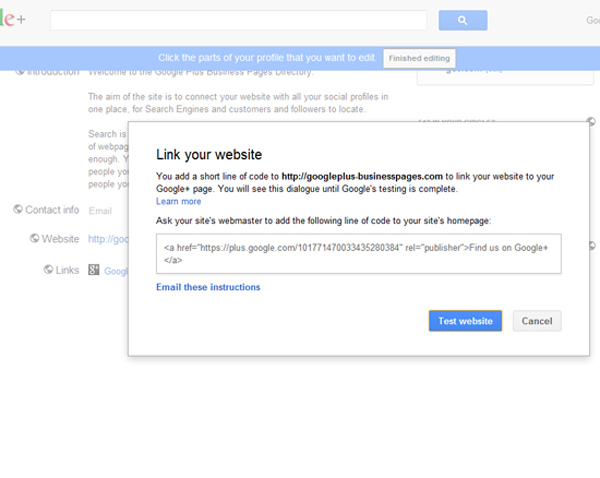 You should link your sites name to your Google+ Business Page as the Publisher. ← Google Plus for Business, even if you only have 5 Minutes a Day !